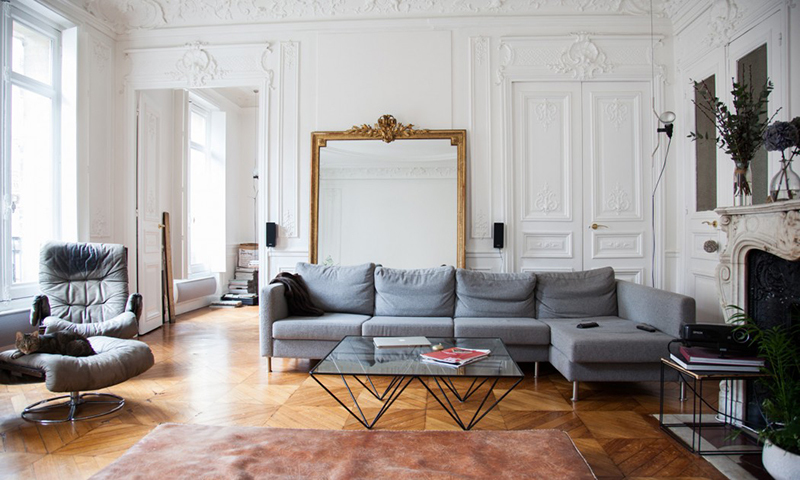 I’m probably not the only one dreaming about moving to Paris one day, and if that dream ever comes true, I definitely wouldn’t mind living in this gorgeous apartment located in the 4th arrondissement. 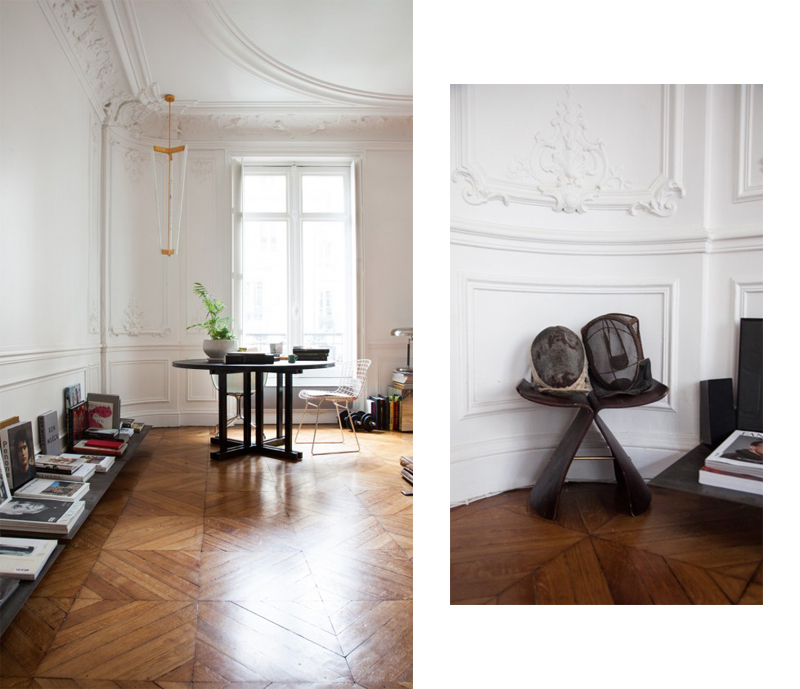 It belongs to architect duo Charlotte de Tonnac & Hugo Sauzey and you’ll find more images below! Psst.. for more interior inspiration, check out my Pinterest! Ahh, that apartment looks so open and spacious. Definitely not something I’ll be finding in NYC anytime soon! This apartment is a dream, I hope one day I own something like this. Lovely post! This apartment is so beautiful! According to me the thing most incredible is the light! White walls help to make the light so bright! 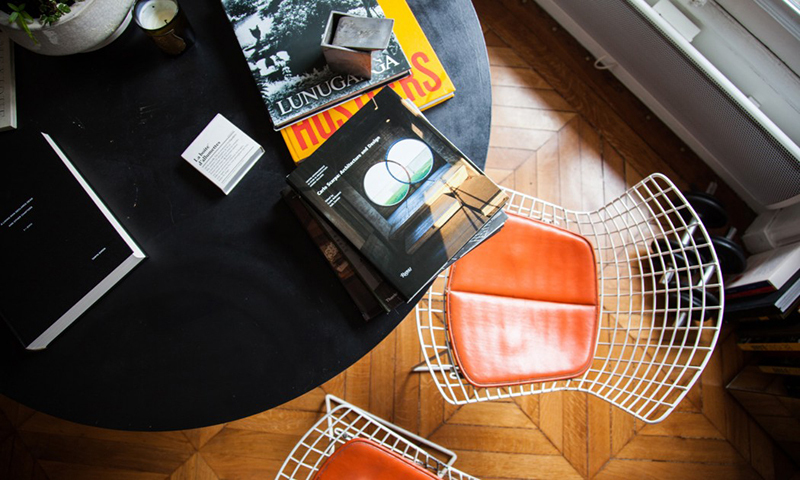 Live in Paris in this apartment is a perfect way to live your life! Oh love it. 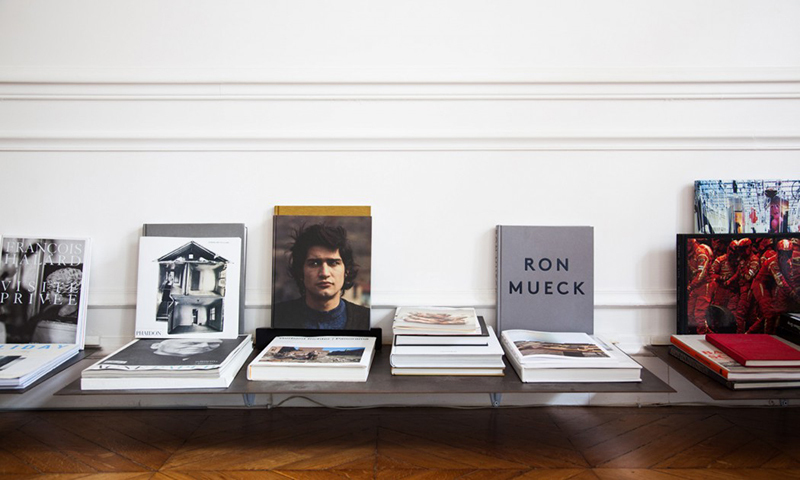 Paris is one of my favorite cities and the apt looks amazing, so spacious and light. That’s really cool I love the details and the big mirror. An awesome apartment, I’m dreaming about moving to Paris too! Oh my goodness…that apartment is to die for! it really is lovely! Dream apartment! Love the white carvings on the walls of these lovely apartment, they do remind me so much of Paris’s amazing architectures! Thanks for sharing these inspirational pictures! So simple so chic! The place itself is enough with minimal decor. This is a typical parisian appartment. I’m in love with this architecture! 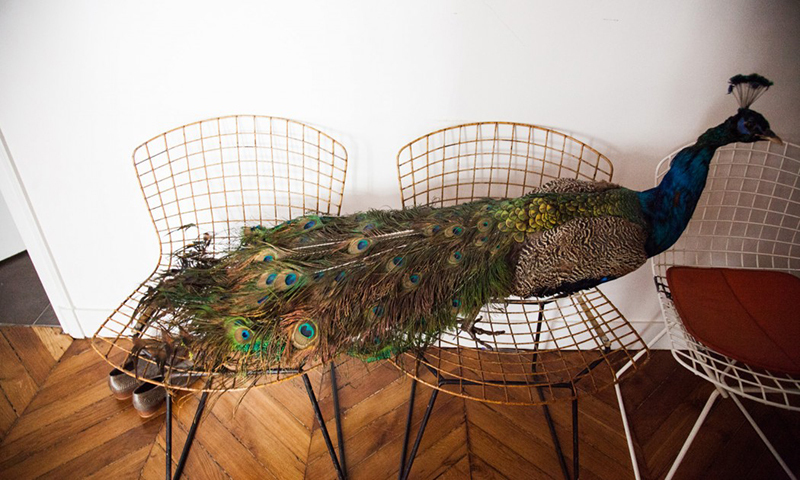 This sunny Parisian apartment is magnifique! I am always happiest when my apartment has floor to ceiling windows to capture the sunlight!! Oh gosh, this apartment looks utterly dreamy! I live in Paris, but my apartment doesn’t look like this :D ! love this one, it’s classic but modern at the same time ! Beautiful apartment! Thank you for sharing! Such a cool atmosphere, love it. This apartment looks so dreamy. I love the grounded feel to the space. I love these kinds of posts; it not only gives inspiration but also shows beautiful design. 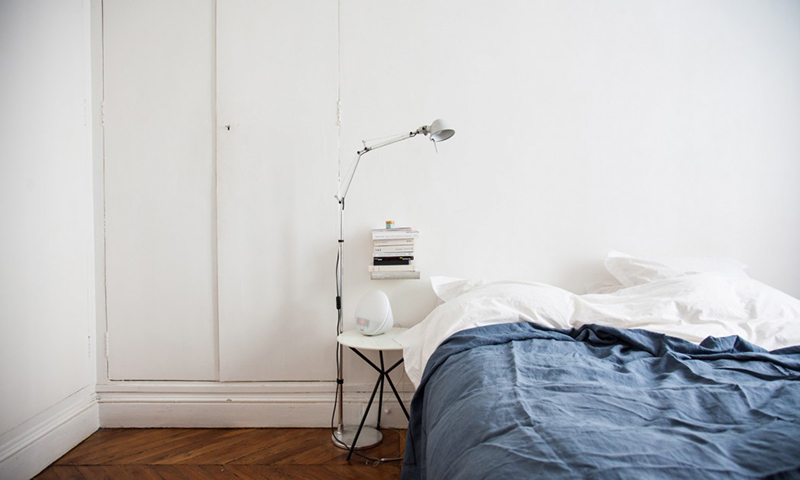 I love the light of this apartment, they were lucky to find such a place in the Marais! I love it and yes, I also dream of living in Paris. Maybe one day!! lovely apartment…really feel the furnishings are terrible..wasting a nice space. A lovely, cool and relaxing home. Paris is really a city of love and inspiration everywhere. The apartment is absolutely beautiful. I love the simplicity. I hope to be in Paris next year.